If you were terrified at Gregor Clegane (a.k.a. 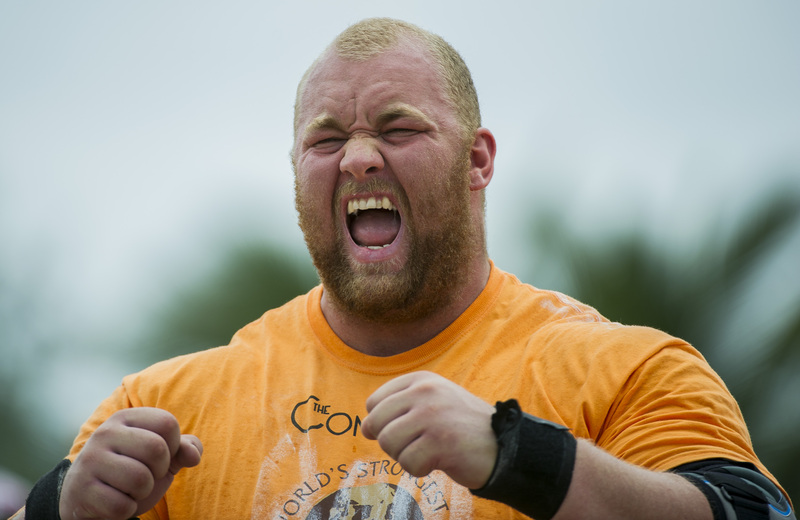 The Mountain)'s skull-crushing abilities on Game of Thrones , you'll feel serious chills when you see actor Hafthór Júlíus Björnsson crush a log-lifting competition in real life. The 26-year-old actor just broke a 1,000-year-old Viking Strongman record by lifting and carrying a 1,433-pound log five steps. Yes, that says almost 1,500 pounds, not the 150 that most people try at the gym. The previous record was three steps and comes from an Icelandic legend book claiming that the 10-meter-long "monster log" broke the other man's back. Björnsson made sure that everyone knew he is just fine, though.